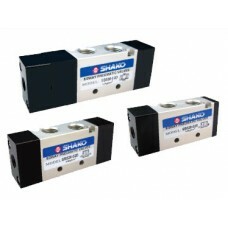 Shako with more than 30 years manufacturing experience is a trust brand in more than 30 countries worldwide, offer a comprehensive range of compressed air / pneumatically operated valves to suit any pneumatic automation application. 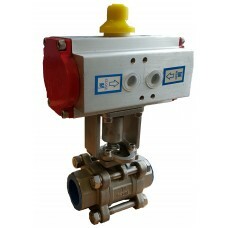 3/2, 5/2 and 5/3 way single or double acting pneumatic valves from 1/8", 1/4", 3/8" and 1/2" BSP,NPT or Rc thread and stainless steel actuated ball valves either threaded or flanged from 1/2 to 3" BSP or DN15 to DN150 PN16, ANSI150Lb or JIS10K flange. 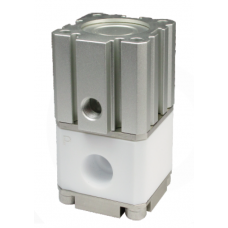 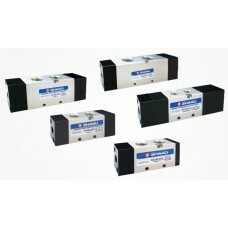 Pneumatic Valve 5/2 5/3 WayShako SK520-04S(D) SK530-04D 5/2 way single or double acting and 5/3..
Pneumatic Valve 5/2 5/3 WayShako SK520-02S(D) SK530-02D 5/2 way single or double acting and 5/3..
Pneumatic Valve 1/8" 5/2 5/3 WayShako SK520-01S(D) SK530-01D 5/2 way single or double acting an.. 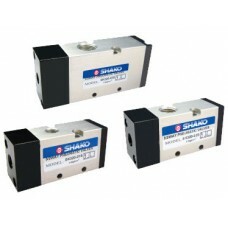 Acid & Alkali Pneumatic Valve 2/2 WayShako PEC22-03 PEC22-04PTFE body and PTFE seals.Port 3/8, 1..
Pneumatic Valve 3/2 WayShako SK320-01-02-03-04S3/2 way air pilot valve normally closed.Port sizes 1/..
Pneumatic Valve 5/2 5/3 WayShako SK520-03S(D) SK530-03D 5/2 way single or double acting and 5/3..
Pneumatic Valve 5/2 5/3 WayShako SA520-01S(D) SA530-01D 5/2 way single or double acting and 5/3..
Pneumatic Valve 5/2 5/3 WayShako SB520-02S(D) SB530-02D 5/2 way single or double acting, 5/3 wa..
Namur Pilot Pneumatic Valve 5/2 WayShako SY520-02S SY520-02D Port 1/4" BSP or NPT thread with N..
Actuated Stainless Ball Valve Shako SCY221 SCY222Pneumatically actuated stainless steel ball va.. 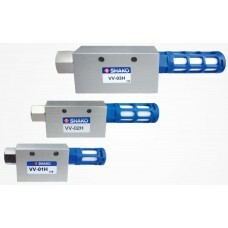 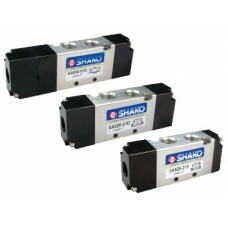 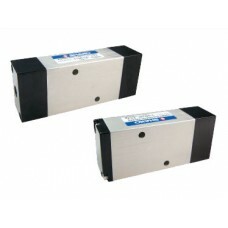 Vacuum Generator Valve Shako VV-01-02-03HPort sizes 1/8, 1/4, 3/8" BSP, NPT or Rc thread.Compact inl..